We talked a bit about all the things Google Home can and cannot do at this very early point in its life. While that list feels a bit lopsided towards the cannot’s at this time, it doesn’t mean that there aren’t options available currently. 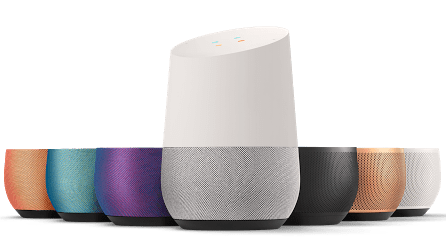 One of those things you get some flexibility on right now is what music streaming service you’d like to use when playing back your favorite tunes on the Google Home. Out of the box, Google Home defaults to Google Play Music (understandably), but that doesn’t mean you are locked into using only Google’s music streaming service. It is not readily apparent how to use other service, though. Along with Google Play Music, I’d say this covers a pretty large percentage of users. First, you will need to open the Google Home app on your phone or tablet. Soon enough, you’ll be able to add your Chromebook to that list. Anyway, open the Home app and either access the settings menu or click the little devices icon in the upper-right portion of the screen. If you went with the setting menu, select ‘Devices’ from this menu. You’ll end up in the same place either way. Next, scroll until you see you Google Home device on the list. Click the 3-dot menu on the right side of that device listing and click settings. You should be met by the devices settings menu. From that menu, select ‘Music’. Now you’ll be met with a list of streaming music services. A caveat applies at this point for two services. Spotify requires the paid, premium subscription. YouTube Music requires YouTube Red. If you don’t have these services, you’re out of luck at the moment. If you click the ‘Link’ text, you’ll be taken to a portal to link up your accounts one by one. Once you’ve added your credentials, you can select any of the services as your default music service. I do need to add that I changed my default to Pandora and Google Home still kept playing from Google Play Music for everything unless I specified “…from Pandora” with my requests. Your mileage may vary. Either way, once you’ve completed these few steps, you will be up and running. You can now play music from Google Home via Spotify, Pandora, YouTube Music or Google Play Music. We know more services and capabilities are on their way, so keep stopping by to keep up on new features for your Google Home!